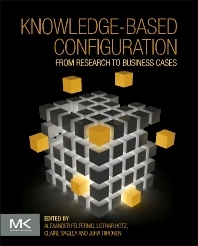 1.2 Why Use Configuration Technologies? 1.3 Why Read This Book? Alexander Felfernig is professor of Applied Software Engineering at the Graz University of Technology. In his research he focuses on the areas of knowledge-based configuration and recommender systems. He has written over 150 articles in this area. Claire Bagley is the Research & Development Director of the Advanced Constraint Technology group at Oracle. In her research and development, she focuses on the application of constraint technology in the industry and specifically but not exclusively in Supply Chain Management business domains such as Configuration applications.